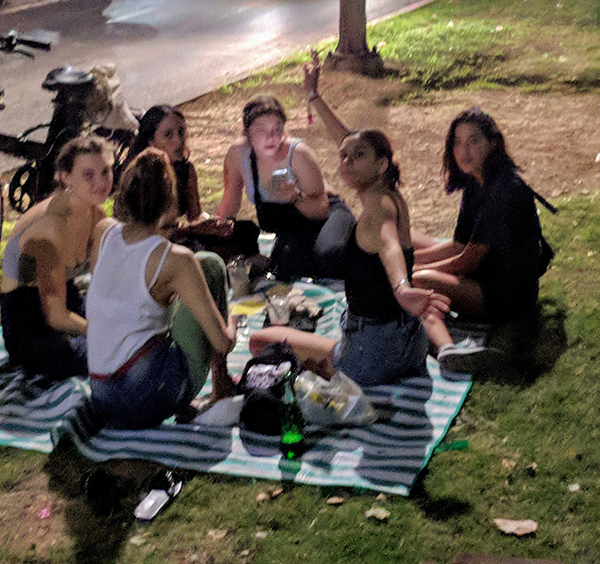 One evening we returned to our apartment in Tel Aviv in the late hours, after a walk on Rothschild Blvd. 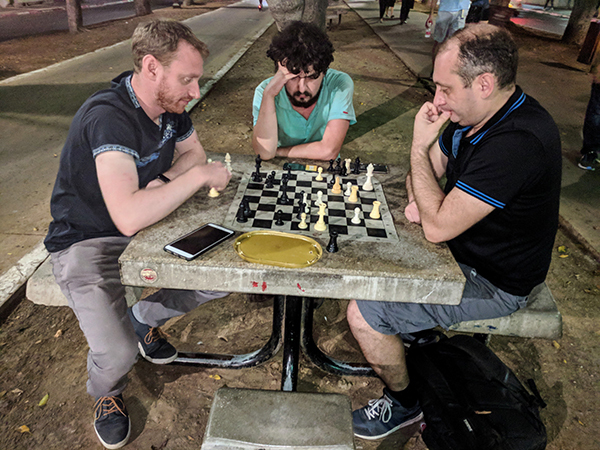 It was past 10pm, but there were quite a few people relaxing and enjoying the warm weather. Who was Mr. Rothschild that one of the most iconic and popular boulevards, which is a commercial center with major financial institutions and technological start-ups occupying famous Bauhaus buildings, is named after him? When we lived in Israel many years ago, I heard about Baron Rothschild, but had no idea about his contribution to Israel. Online I found some fascinating information about the Rothschild family (which is still one of the richest in the world). Baron Edmond James de Rothschild was born in August 1845 in France into a well-known Jewish banking family. He received a traditional Jewish and secular education and in 1877, married his cousin. His interests were primarily in the arts. However in 1882, Edmond cut back on his purchases of art and began to buy land in Southern Syria (Ottoman Palestine). He became a leading proponent of the Zionist Movement. In 1924, he established the Palestine Jewish Colonization Association, which acquired more than 125,000 acres of land and set up business ventures. He also played a pivotal role in Israel’s wine industry. Jews and Arabs lived amiably on Rothschild’s land and in 1934, the year he died, in a letter to the League of Nations he wrote, “The struggle to put an end to the Wandering Jew, could not have as its result, the creation of the Wandering Arab.” Eighty-five years passed since his death, but the seeds of his and his wife’s contributions bare tremendous fruit. A question pops up in my head about how it was possible to get the idea, which changed the course of history? How was it possible in 1882 to foresee that one day there would be pogroms in Russia, rampant antisemitism in Europe; to have a place for the Jewish survivors of World War II to live? History had many remarkable names, one of them being Baron Edmond Rothschild. P.S. 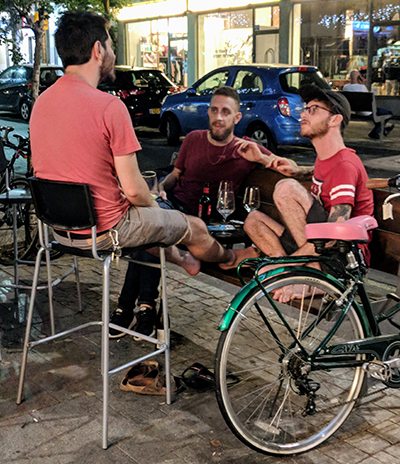 Israel is known as a start-up nation, and many high-tech companies have offices on Rothschild Boulevard in spite of high rents (like in Downtown San Francisco); they prefer to have prestigious addresses on their letterhead. 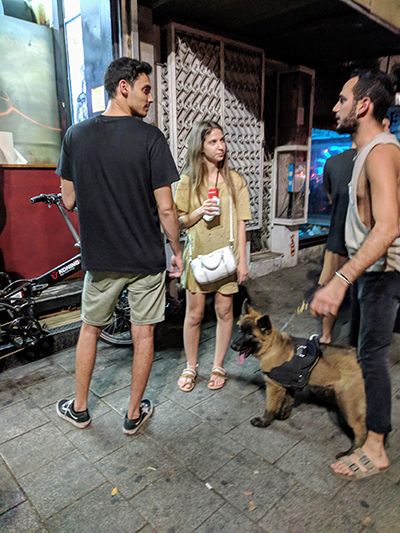 We met a lot of young people in Tel Aviv, and I was not surprised to meet some of them having a good time during the late hours, as you can see in these four images. P.P.S. The book signing of “42 Encounters with Dog Lovers” was a success as this short video can attest. Get your own copy at Amazon.com or Encounterspublishing.com.